We recommend that all EauZone Plus Bespoke orders go through one of our EauZone Plus Specialist Dealers by completing one of our order forms. 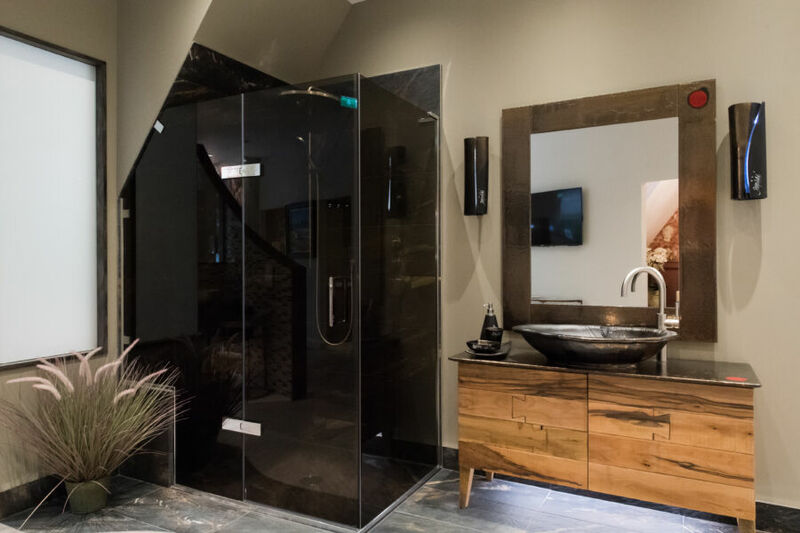 Matki Installations record accurate measurements of the shower area in your bathroom and then return to install the Shower Enclosure, Wet Room Panel or Bath Screen that has been designed and manufactured to your exact requirements. They will normally visit you only twice, first to measure then to install, ensuring the area is left looking clean and pristine. Matki Installations should be used for all frameless, recessed-channel and minimal framed units. For all other Matki Shower Enclosures, Wet Room Panels and Bath Screens the service is optional. 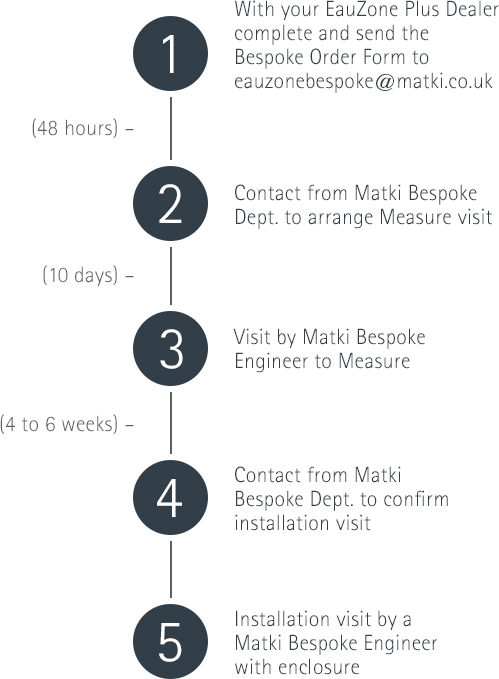 To book Matki Installations please contact our Bespoke Department on bespoke.department@matki.co.uk or 01454 322888. Visit your local EauZone Plus Dealer to discuss options. For recessed channels – first fix channels delivered prior to Measure to be fitted by your installer/tiler prior to tiling. Measure and Install service only. Measure only and install only options available.